There is much anxiety when it comes to embracing the Divine these days. People living in constant fear of offending someone’s religious beliefs, while aimlessly wandering around for something to believe in themselves. Your Divinity has Nothing to do with religion. Religion is an organization created by man. Divinity is the spark of the Creator within each and every one of us… No Exceptions. Dare to connect with the Divine Creator within You. Dare to stop looking outside of yourself. Dare to stop living in Fear. Dare to be who you Really Are. 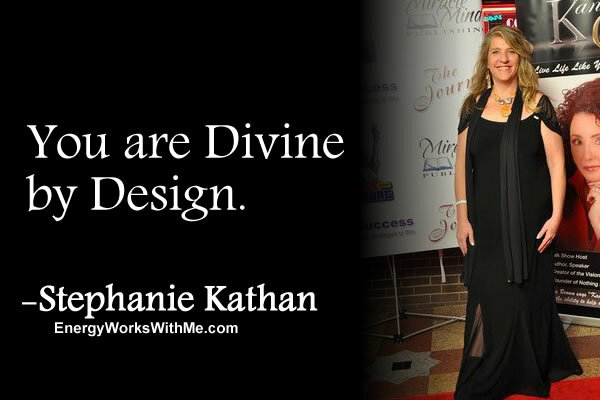 You are Divine by Design. If someone labels you with “delusions of grandeur”…. just smile, and know that your creative genius is shining through. And don’t worry about the ones that offered the label…. eventually they will figure out, they themselves were suffering from delusions of mediocrity.